Only an insecure and ideologically bankrupt political party has to game the rules to stay in power. As the 2012 presidential campaign takes a breather, we need to consider why today’s Republicans are no longer the party of Abraham Lincoln, Teddy Roosevelt or Richard Nixon, but instead a truly toxic aberration. As James Fallows noted a year ago in the Atlantic, the modern GOP’s biggest sin is discarding “political norms” that everyone once understood would hurt the country—such as not paying 74,000 federal air traffic controllers and construction workers to attack labor unions, a drama that played out last August. Anyone who has been around a child throwing a temper tantrum would recognize the hallmarks of today’s congressional Republican leadership: threats and bullying, finger-pointing, and running to his room and slamming the door. It’s so transparent and it raises a basic question: what are they so afraid of? The answer is clear—losing power and influence in American politics and culture. Today’s Republicans cannot compete fairly and win. And when it comes to political tactics, there are three things today’s GOP fears more than almost anything: majority votes in the U.S. Senate; national and state elections where all eligible citizens can vote; and revealing and standing by their top political donors in public. 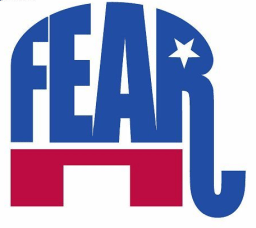 Why do GOP partisans fear these three things? Because without gaming the rules in Congress, without limiting who votes in state and national elections, and without hiding their patrons from the American people, they know they’d lose—and lose badly. A very revealing thing happened in Washington last week. On Wednesday, the Senate held two tax cut votes that were not blocked—filibustered—by Republicans. Both times, simple majorities voted to reinstate higher federal income tax rates on the wealthiest Americans. In any other decade, in any other economic downturn, this outcome would seem utterly predictable and common sense. But today’s anti-tax GOP is different. The first vote rejected, 45-54, a GOP plan to extend all of the Bush-era income tax breaks. The second vote approved the Democrats’ tax plan, which would extend the Bush-era tax cuts to the first $250,000 Americans earn in a year (including the first $250,000 that billionaires rake in). Senate Republican leaders later said that they allowed the vote—not filibustering—because it would have no effect, as tax policy must originate in the House and that the GOP-controlled chamber would certainly reject it. In most legislative bodies, simple majorities—50 percent plus one—is all that is needed to pass legislation. But not so in the Senate, where arcane rules allow endless debate, or filibusters, to continue unless there are 60 votes to end debate. The GOP increasingly has relied on that rule to block all kinds of Democratic proposals. Similarly, it has also relied on “holds” where senators can block nominations to federal posts, particularly judges. Even the mainstream media has called the GOP’s abuse of the Senate filibuster rules a “road to gridlock.” That’s far too polite. As Wednesday’s tax cut vote amply showed, the ideas championed by Republicans are destined for defeat when they cannot hide behind parliamentary tricks and obscure super-majority votes. Republicans know they must game the Senate rules to win. But that’s not the only place. The GOP’s need to game voting has spread like political cancer. In state after state since 2010, Republican-controlled legislatures have gone to great lengths to complicate many aspects of the voting process, from registration to ballot-access rules. The goal, as yet another Republican legislator bragged last week in Wisconsin, is to suppress perceived Democratic voting blocks, particularly people of color, the poor and students. What’s especially pernicious about the best known of these tactics, stricter voter ID laws, is that it adds a nasty twist to the otherwise simple requirements to be a legal voter. Instead of satisfying age, residency and citizenship status—and showing that one is mentally fit and has no felony record (as in most states)—these new laws say you cannot get a ballot unless you also have a specific kind of state government photo ID. Not everybody has that ID, or the documents needed to obtain it. The right to vote has never been based on plastic. In Pennsylvania, estimates suggest that as many as 750,000 registered voters—many in urban Democratic strongholds—lack the most common form of “acceptable ID,” a state driver’s license. But that’s hardly all the GOP has done. In states like Wisconsin, it has closed offices where people must go to obtain the required photo IDs—creating further barriers to voting. In Texas, it has limited the kind of ID that can be presented at polls, barring university IDs, to suppress student voting, but allowing gun permits. This anti-democratic trend is larger than just photo ID laws. Florida passed laws imposing draconian fines and filing deadlines on voter registration groups, which, despite being blocked by a court recently, stopped groups like the League of Women Voters from registering people for months. In the latest twist, Tea Party officials who oversee elections—from Florida’s governor to the secretaries of state in Colorado and Michigan—have been claiming that hundreds of thousands of non-citizens are on official voter rolls and must be purged before November. The answer to that question is that today’s white-dominated, wealth-worshiping GOP knows it cannot hold onto power in an increasingly multicultural America unless it keeps communities of color, young people and women from voting. You would think today’s Republicans would be more confident in their ideas, stand by them and trust the voters to decide. But that is not the case, a point that is underscored by the third thing the GOP fears: revealing who is bankrolling their electioneering. Why is that, you might ask? It’s because, as has been endlessly debated and ridiculed on election law blogs, the GOP’s stalwart defenders say that disclosing who is bankrolling their campaign efforts would be to expose donors to public criticism and possibly attack. Never mind that everybody else gets pummeled by their propaganda and bile. This self-serving logic was behind recent efforts by Senate Republican Leader Mitch McConnell to block a bill that would require people who write big checks for campaigns to disclose that activity, so Americans would know who is paying for the television, radio, Internet ads, billboards, political junk mail and robo-calls in their states. McConnell was called the nation’s “hypocrite in chief” for this effort, because for years he preached no regulation of campaign donations or spending, just timely disclosure so an informed public could make up its mind. That pretense evaporated during the Senate’s recent DISCLOSE bill debate, in which he—and other senators who long supported disclosure—closed ranks, blocked and defeated the measure. But the issue is far bigger than letting the public know who is behind today’s political advertising barrages. One of the biggest campaign finance abuses in 2012 is the use of nonprofit tax structures to run shadow campaigns for specific candidates. The great benefit to the GOP’s patrons, including many corporate executives and trade associations, is that the nonprofit ruse allows them to avoid limits on donation amounts, and equally important, donors to these nonprofits are not legally required to identify themselves. Think about this. It’s okay for multi-millionaires and corporate lobbies to bankroll the most negative ads in a presidential election year—ads that are thrust upon millions of people whether we want to hear them or not—but the individuals or interests who are paying for those messages need to be protected from criticism or angry responses? What do these three fears say about the kind of national political party that is today’s GOP? It is a party that does not have the confidence to stand by its ideas or funders in public. It is a party that does not trust voters to accept or reject their agenda—in fair votes. It is a party that cannot live with the consequences of not obstructing bills and appointments in the U.S. Senate. Instead, today’s Republican Party must cheat, bully, lie and hide to preserve its power in 2012. Steven Rosenfeld covers democracy issues for AlterNet and is the author of “Count My Vote: A Citizen’s Guide to Voting” (AlterNet Books, 2008).